Edited by Zenonas Danilevicius, MD, Senior Editor. Periodicals published by the Association are not available for loan, but may be purchased from the Circulation Department. 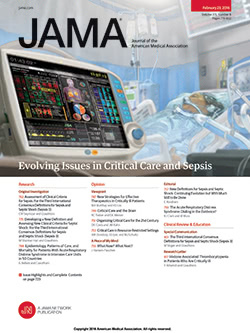 Reprints of articles abstracted in JAMA may be obtained from the authors whose addresses are supplied with the abstracts.